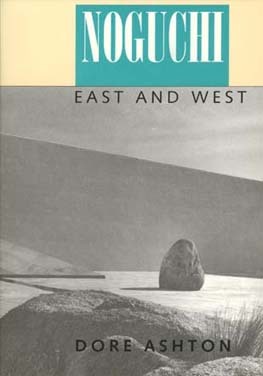 The life of the Japanese-American sculptor and designer Isamu Noguchi (1904-1988) was an unending spiritual and physical voyage between the two cultures of his birthright. In this definitive biography and critical study, Dore Ashton maps Noguchi's spiritual journey both in the events of his life and in the milestones of his art: the sculptures, gardens, public spaces, and stage decors that gained force and significance from his double heritage. Dore Ashton is Professor of Art History at the Cooper Union and author or editor of 30 books on art and culture including The New York School: A Cultural Reckoning, A Critical Study of Philip Guston, and A Fable of Modern Art, available from University of California Press.